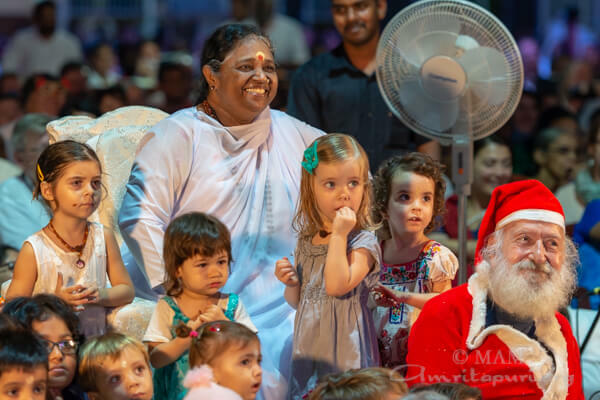 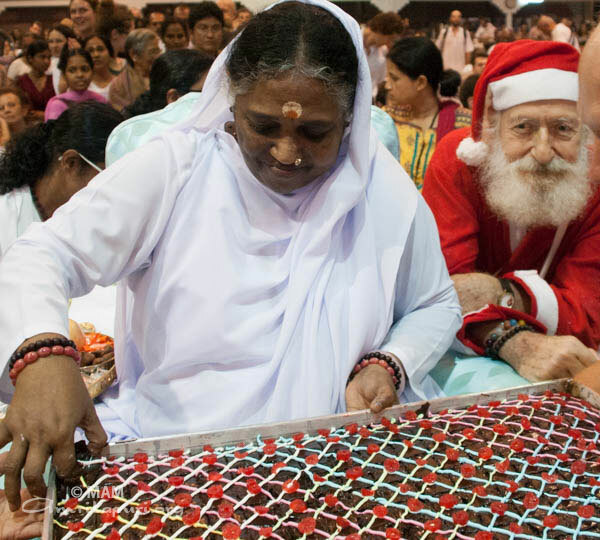 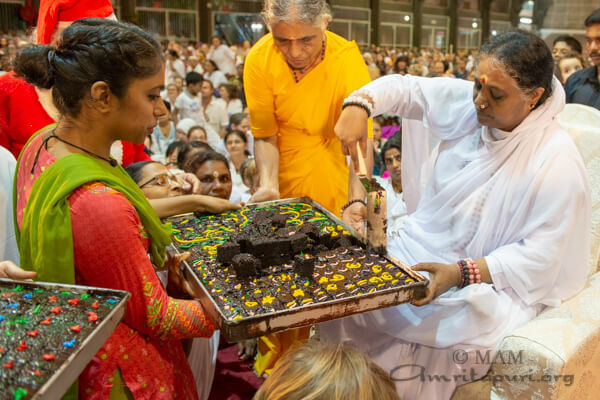 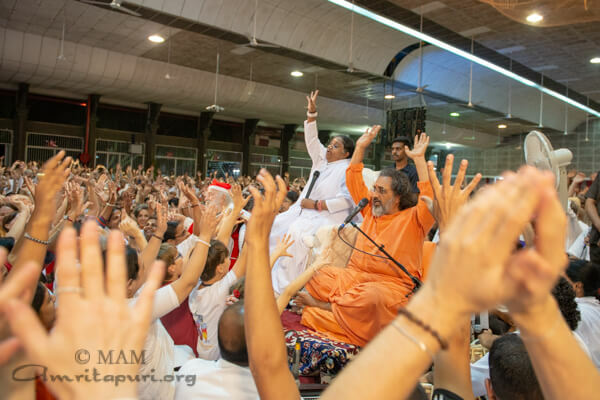 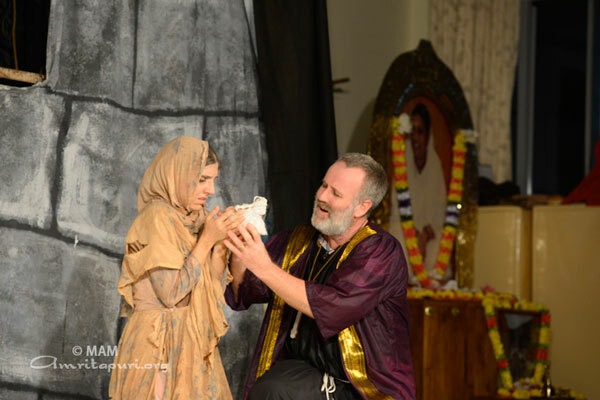 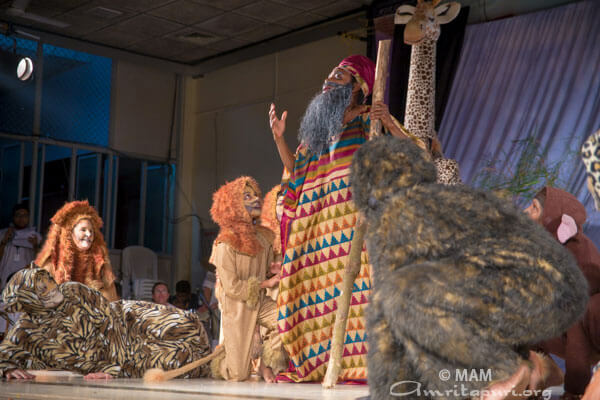 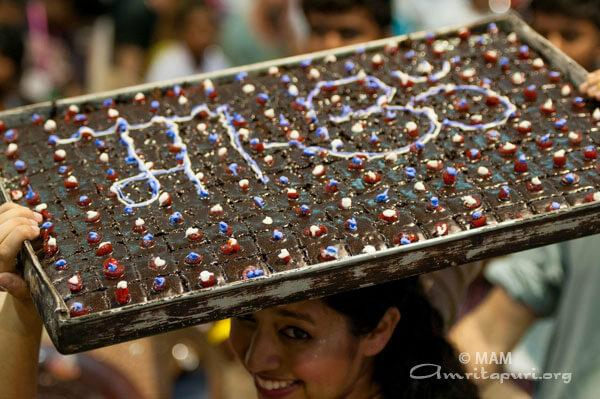 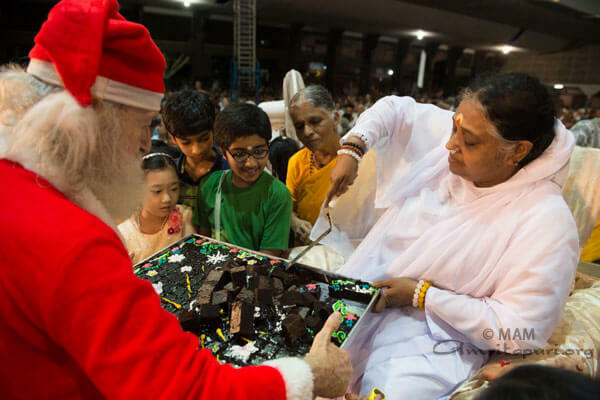 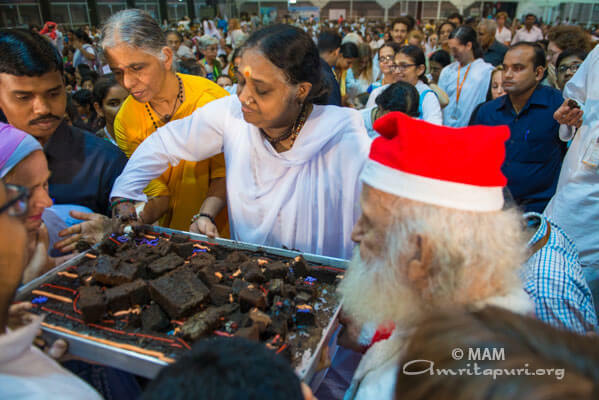 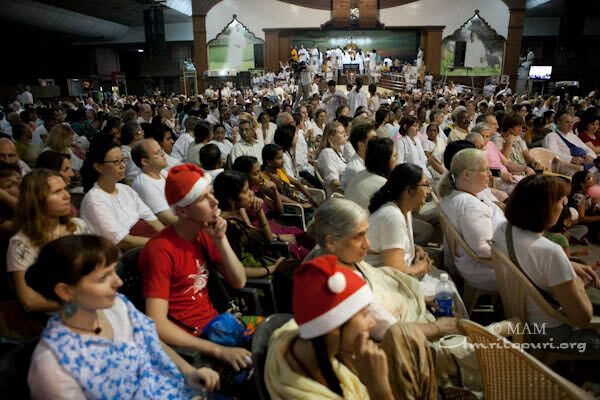 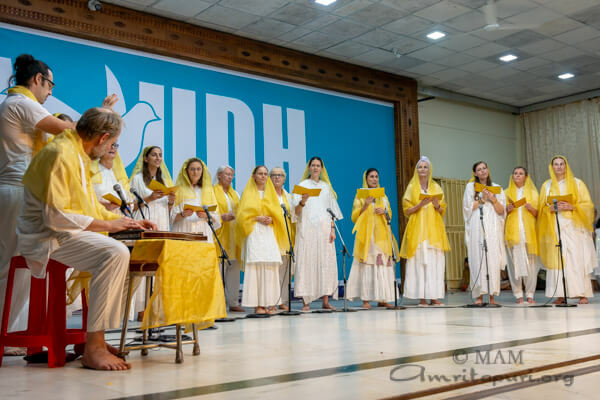 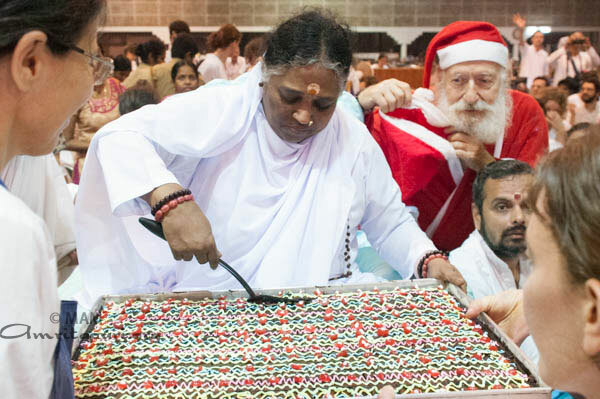 Christmas Eve and Christmas Day both fell on darshan days in Amritapuri, and Amma was still giving darshan when the midnight hour struck on the 25th. 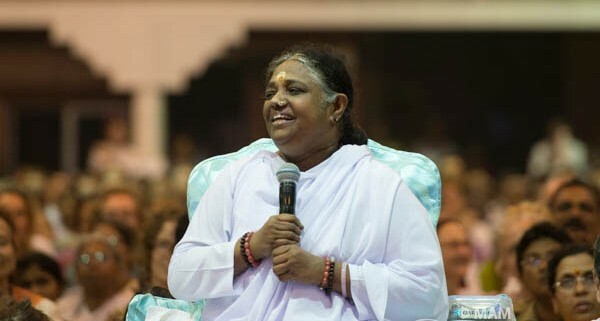 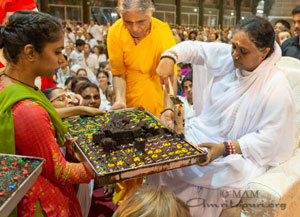 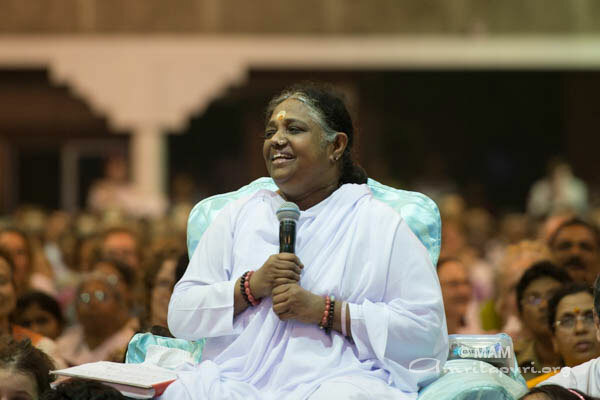 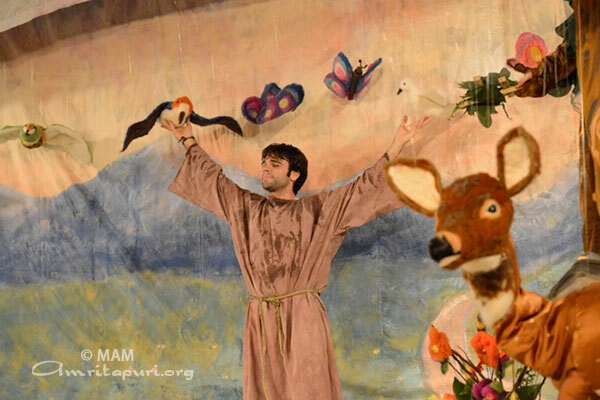 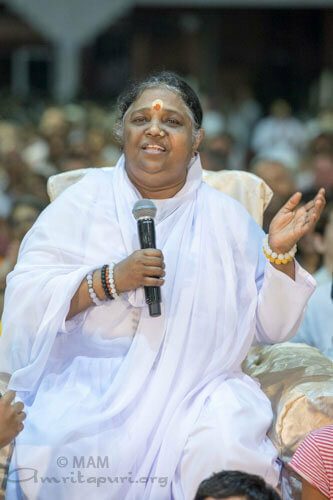 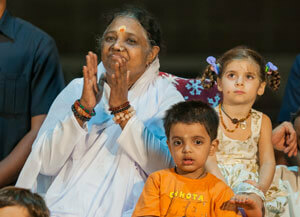 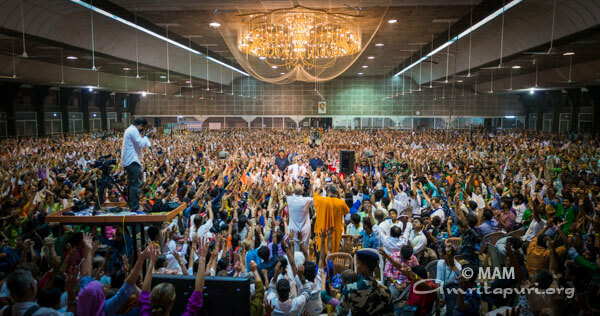 While Amma continued to embrace her children, she had Swami Amritaswarupananda read out a message she had prepared. 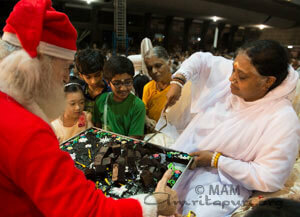 “On Christmas Day, Christian children exchange gifts and kind words and wish one another Merry Christmas. 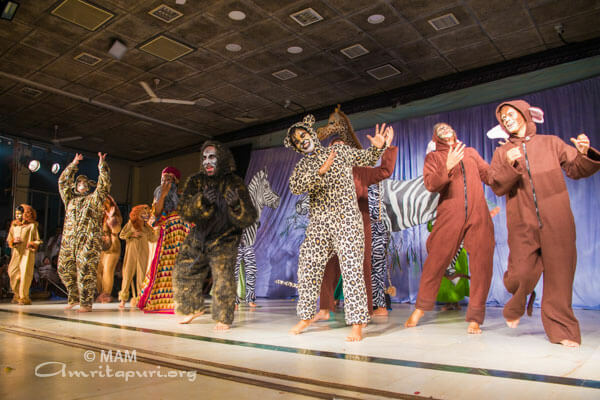 This really reflects a sense of brotherhood. 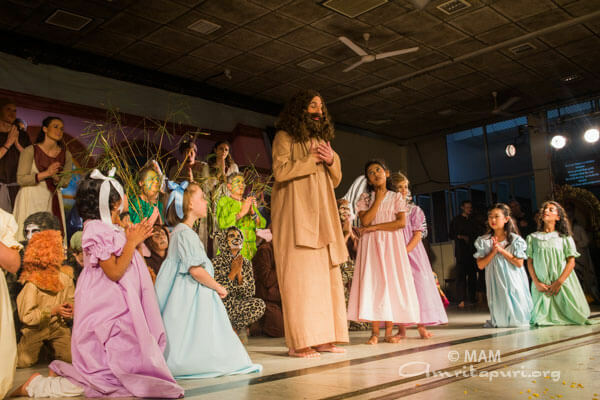 But amidst our celebrations, we should also remember the life and teachings of Christ. 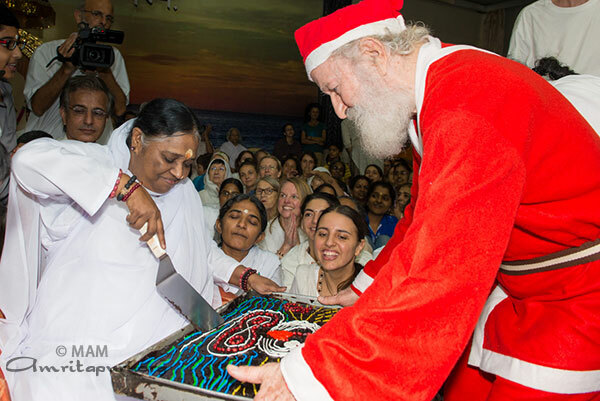 Christmas is also a day for taking a vow to put Christ’s teachings into action. 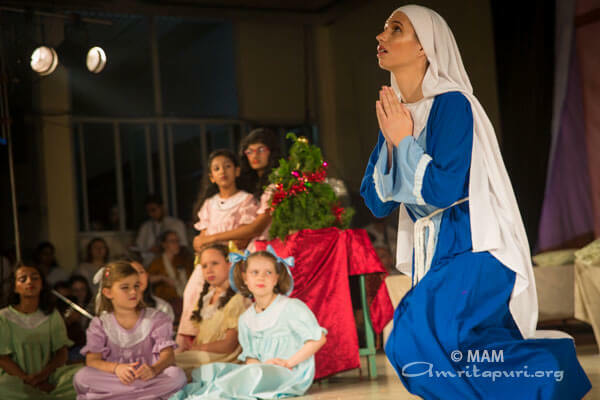 May the Christ child take birth in the hearts of all my children. 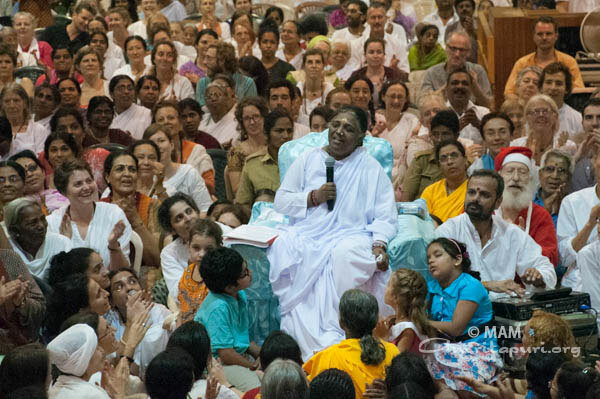 May our lives be full of love and the spirit of sacrifice. 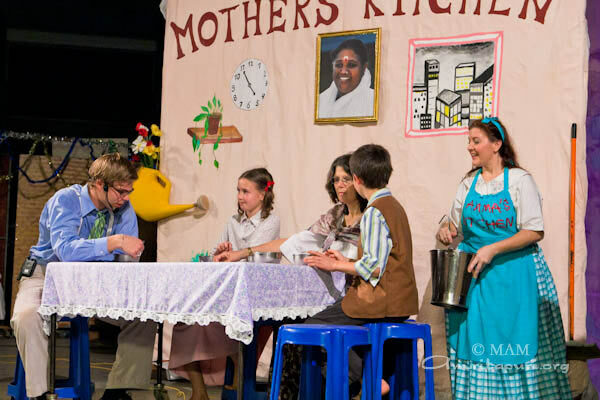 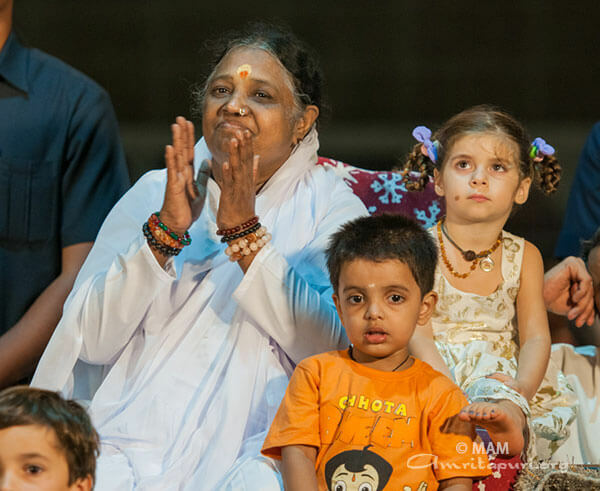 May my children become examples for others to emulate” Amma concluded. 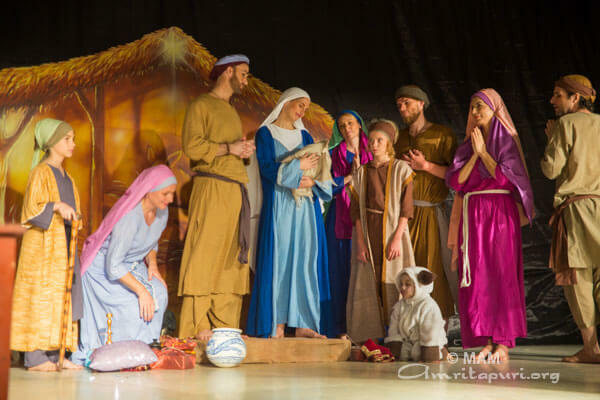 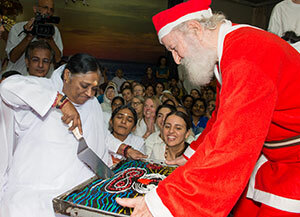 Before Amma’s message, there were Christmas carols in German, Russian, Spanish and Finnish languages by the devotees from the west. 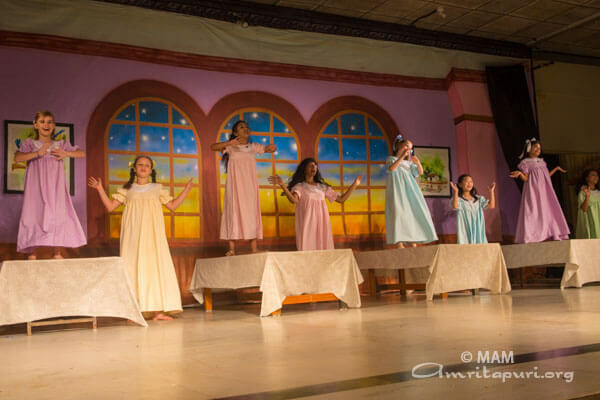 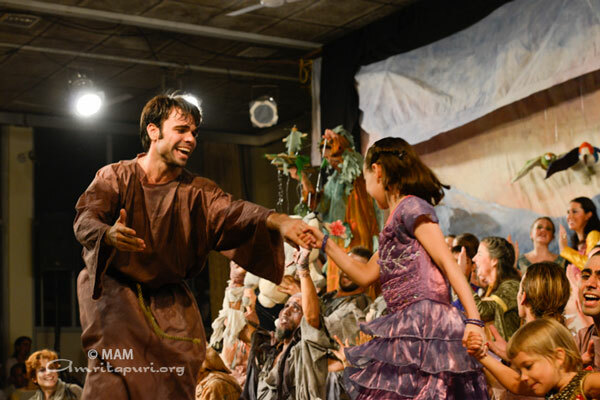 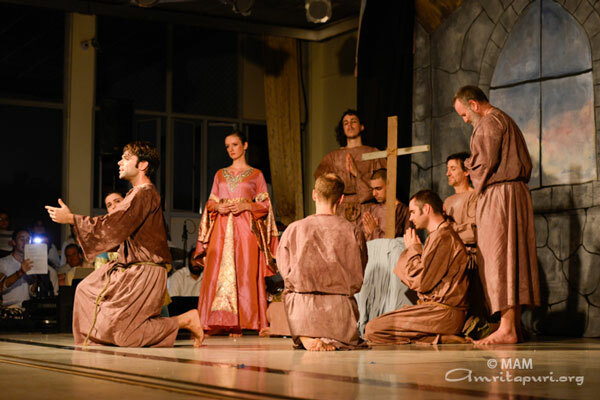 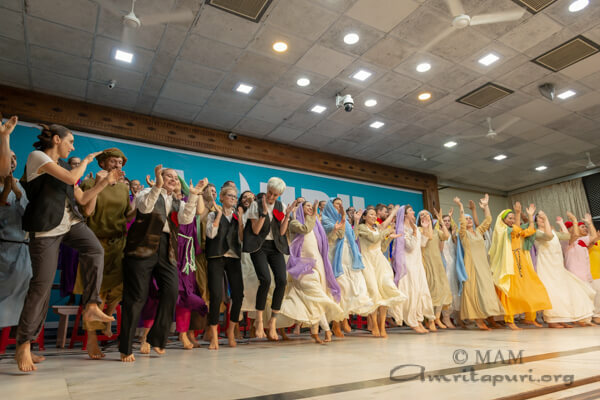 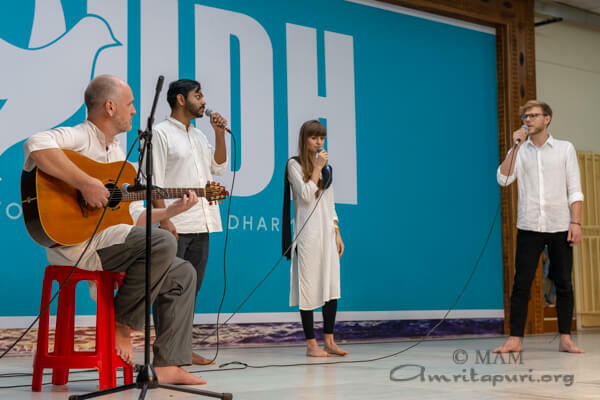 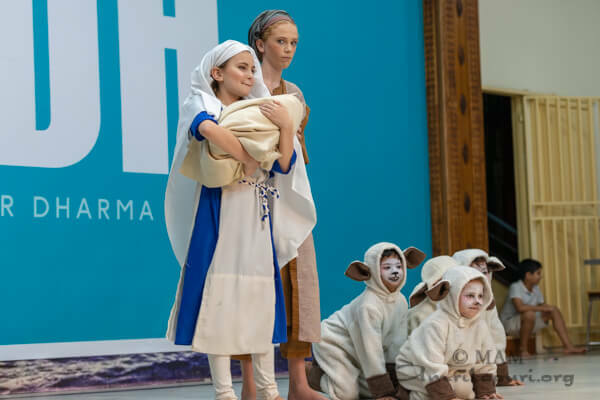 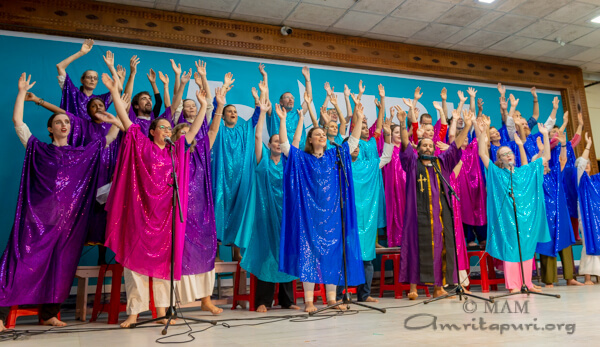 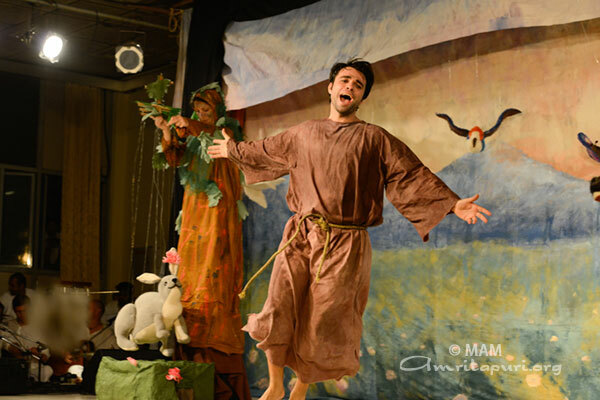 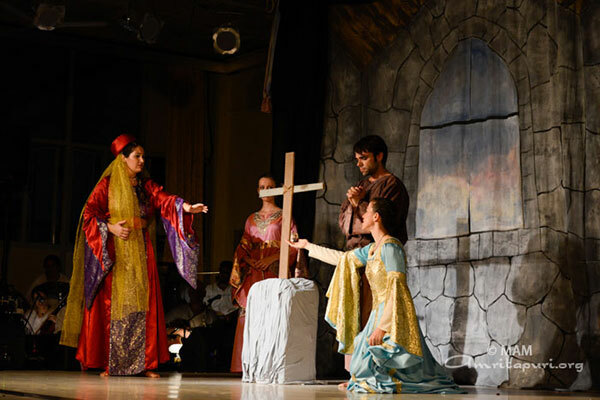 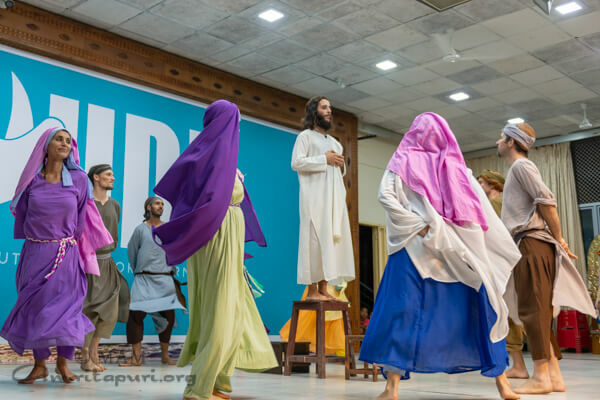 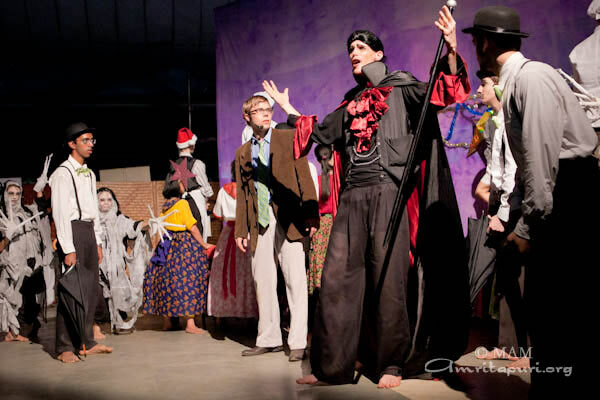 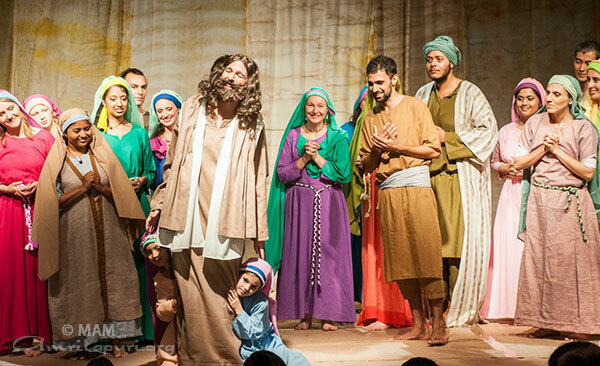 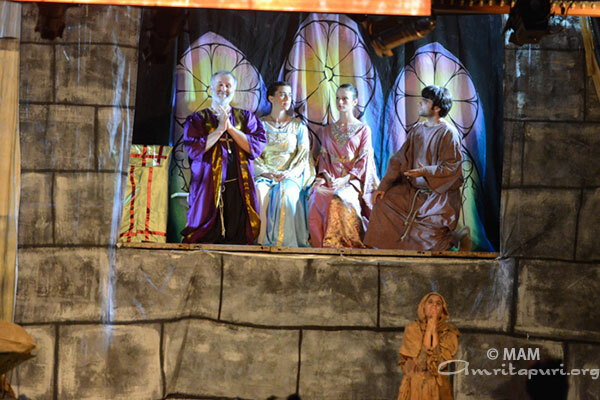 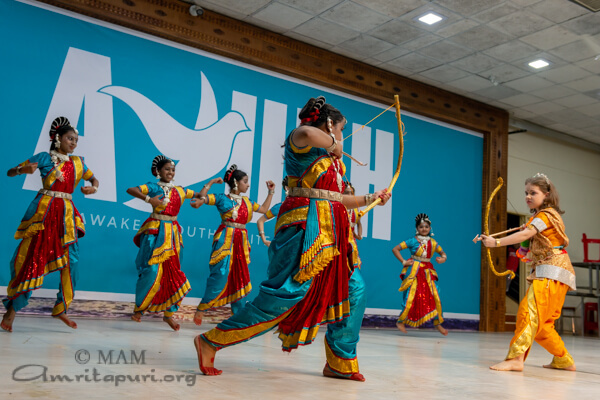 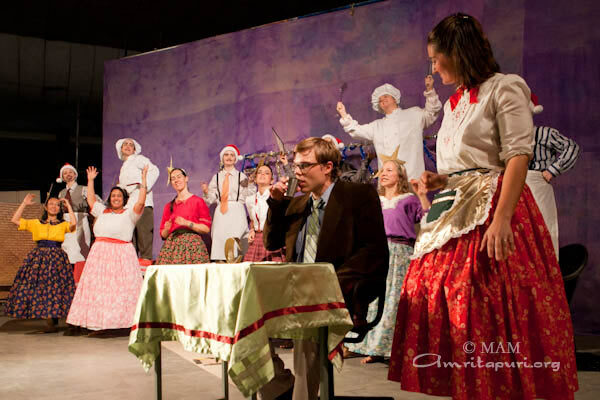 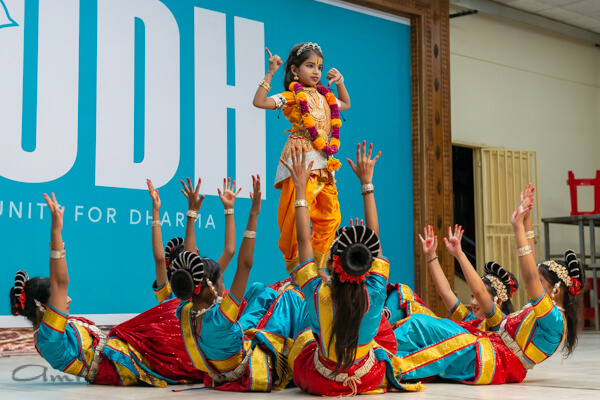 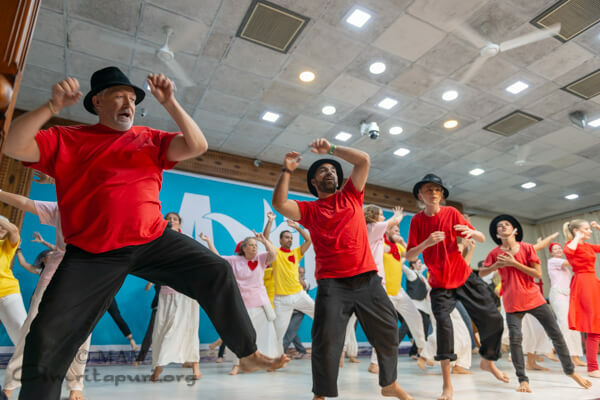 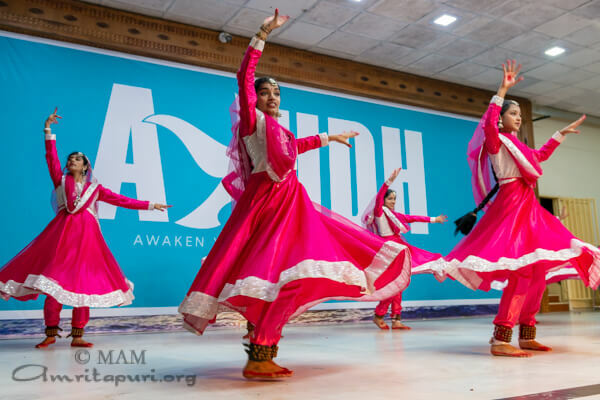 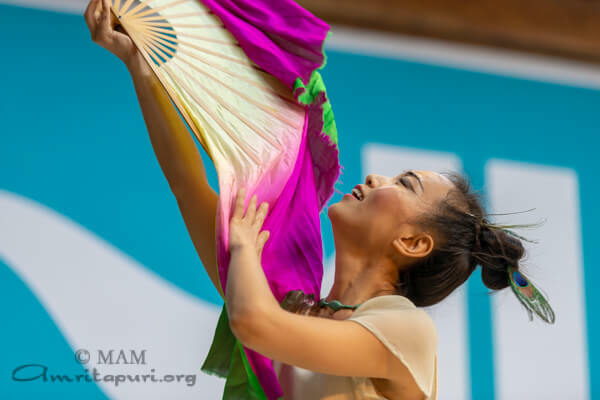 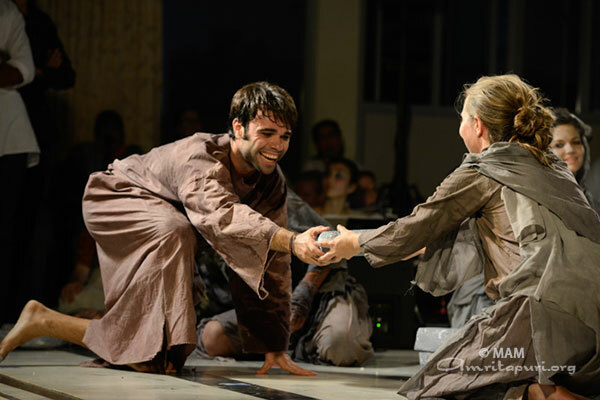 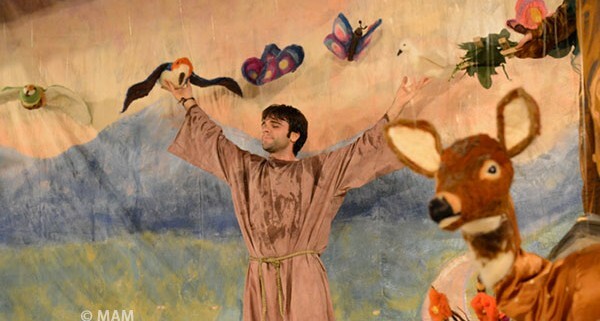 There were also traditional Flamenco and Opera dances, which added spirit to the celebrations of Christmas in Amritapuri.